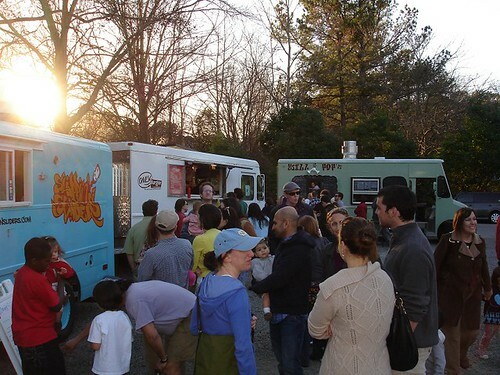 Now that the weather is warming up there are even more opportunities to enjoy the delicious offerings at several upcoming food truck events in the Triangle. Here is a quick list of upcoming food truck “rodeos” for April and May. I will update this post if I learn of any additional events. Food Trucks: OnlyBurger, Bulkogi Korean BBQ, Klausie’s Pizza, The Grilled Cheese Bus, Blue Sky Dining and Kona Ice. Here are some photos of triangle food trucks I have seen during past “rodeos”. Not pictured are Pie Pushers, Indian Food on Wheels, Blue Sky Dining, and The Grilled Cheese Bus. I hope to visit those trucks soon!